In theory it should be possible for the body to synthesise essential fatty acids downstream from those in hemp oil. In practice this may not happen! We can get round this with fish oils. 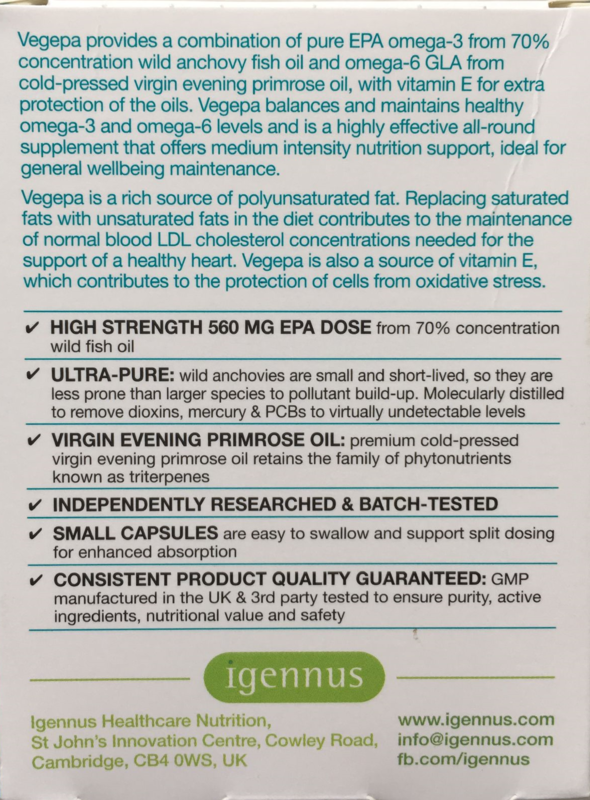 Fish oils are essential for optimum brain function. 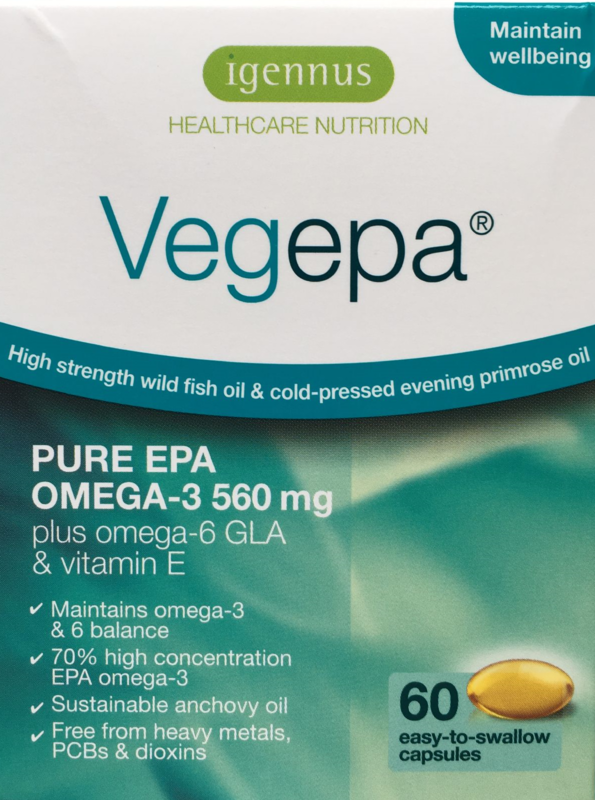 Capsule shell - (emulsifiers: fish gelatine, vegetable glycerol); ethyl-EPA (eicosapantaenoic acid) concentrate from wild anchovy fish oil; cold-pressed virgin evening primrose oil; antioxidant; vitamin E.
FREE FROM: dairy, gluten, lactose, yeast, Non-GMO. No artificial colours, flavours or preservatives. Suitable for halal & kosher diets. Not tested on animals.